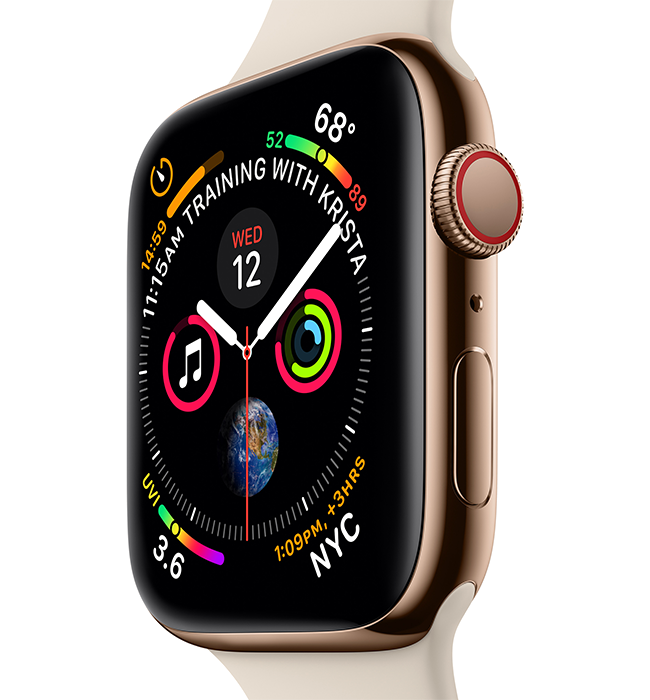 Apple Watch Series 4 40mm is the fourth generation of the smart watches designed and developed by Apple Inc. This is a portable communication device with the focus on health care. It requires iPhone 6 or older with iOS 12 or older for work. 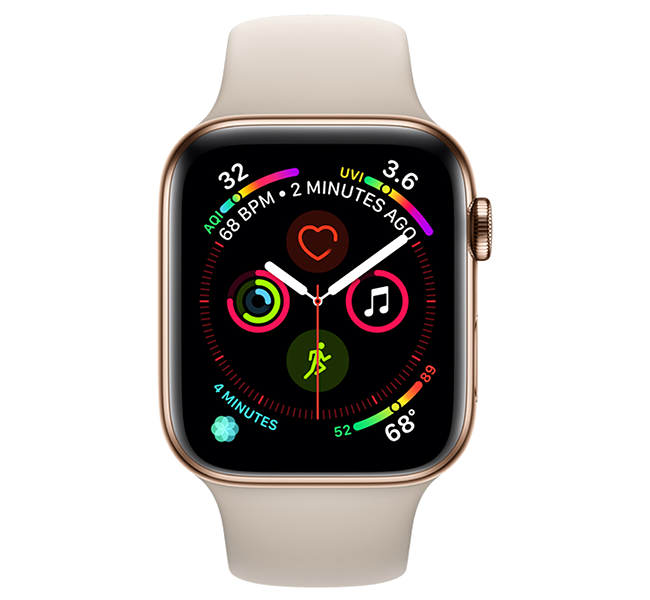 The Apple Watch Series 4 40mm has a stainless steel frame and a ceramic back panel with a redesigned heartbeat sensor in it. The display is protected with the sapphire glass. 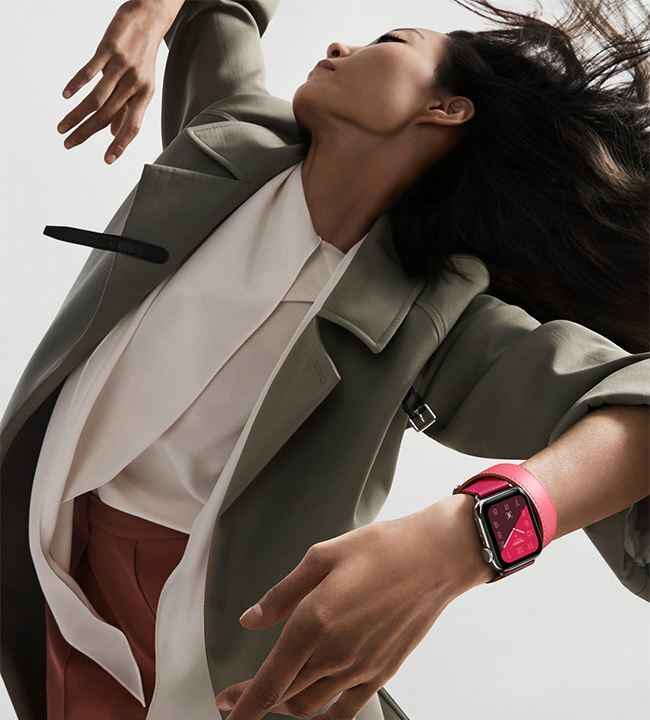 The Apple Watch Series 4 40mm features a new S4 chip that is twice faster than its predecessor and the AMOLED touchscreen display that is 30% larger. The sensors include an accelerometer, a barometer, a gyroscope and a heart rate sensor. The Digital Crown features the built-in haptic mechanism. The speaker now is 50% louder than in the previous series. The Apple Watch Series 4 40mm come with three new animated faces – Fire, Water and Mist – and three colors – Space Black, Silver, Gold. 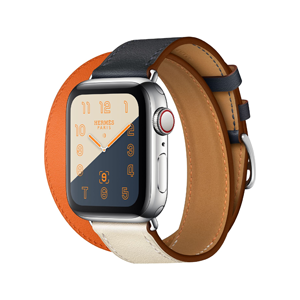 Various bands, including the Hermes Leather band, are available for an extra cost. The gyroscope in the Apple Watch Series 4 helps to detect a fall or a slip in real time. If the user falls, the smart watch suggests to call the emergency services. The redesigned heart sensor allows to do the electrocardiogram test with the smartwatch on the wrist by placing a finger on the Digital Crown. The results are displayed in the app on the tethered iOS device. The Apple Watch Series 4 can also monitor the heart rhythm in the background and send alert notifications if it’s too fast or too slow. The smartwatch is approved by FDA and American cardiologists.